From their base at Mount Batten, Plymouth, Australians of No. 10 and 461 Squadrons RAAF spent most of the Second World War in a desperate battle to keep Britain supplied with food and war materials. The ongoing struggle was fought mainly against German submarines whose task was to destroy convoys of merchant ships as they travelled to and from Britain. The German submarines, also known as U-boats (“undersea boats”), posed a constant threat to the supply lines that connected Britain to overseas markets. No. 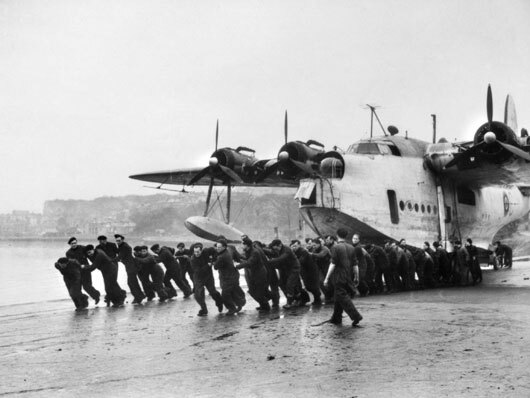 10 Squadron was in Britain before the outbreak of war to be equipped with the new Short Sunderland flying Boats. It was joined by 461 Squadron in April 1942 also equipped with Sunderlands which were nicknamed the “flying porcupine” by the German fighter pilots who encountered them, due to the large number of machine guns they were armed with. Although their main role was to locate and destroy enemy submarines, the flying boats of the 10 and 461 Squadrons proved to be equally useful for air-sea rescue and transport missions. A hundred and sixty-one members of 10 Squadron, which had the distinction of being the longest serving RAAF squadron of the Second World War, lost their lives in the ceaseless struggle to keep Britain’s supply lines open. Sixty-four Australians of 461 Squadron similarly lost their lives. 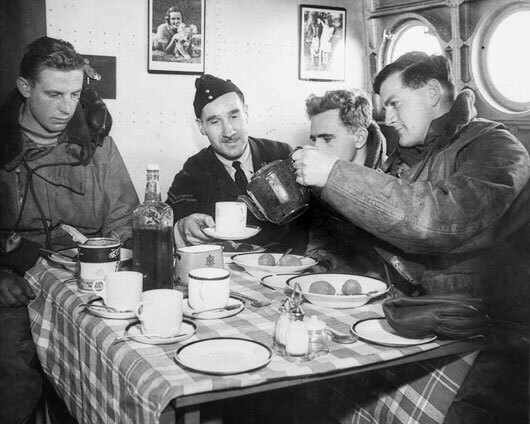 Crewmembers of a Sunderland flying boat squadron enjoying an in-flight meal (AWM 003496). 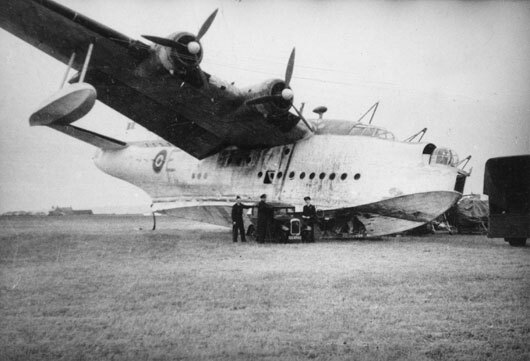 A Sunderland of 461 Squadron RAAF is forced to land on ground due to damage to the hull sustained during a rescue mission in the Bay of Biscay (AWM 045299). 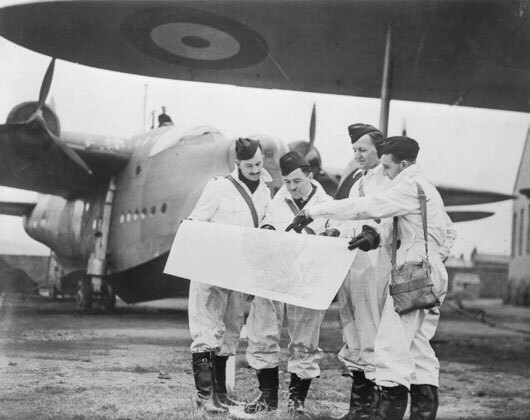 Four of the original Sunderland captains of 10 Squadron RAAF checking flight plans prior to a mission over the Atlantic (AWM 128163). 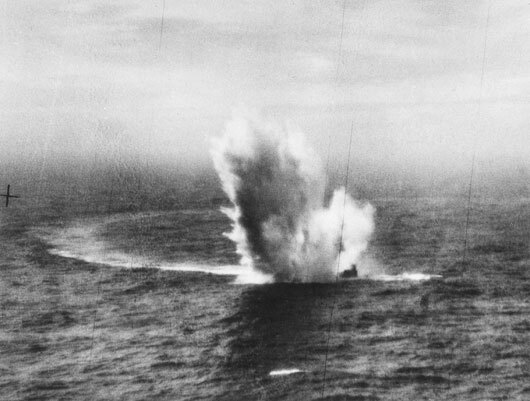 A German U-boat is sunk in the North Atlantic by a Coastal Command Liberator of 120 Squadron RAAF (AWM SUK11338). 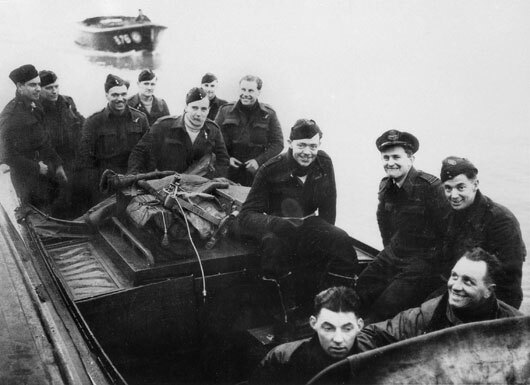 Crewmembers of a 461 Squadron RAAF Sunderland returning to base after sinking a U-boat in the Atlantic (AWM SUK11730). 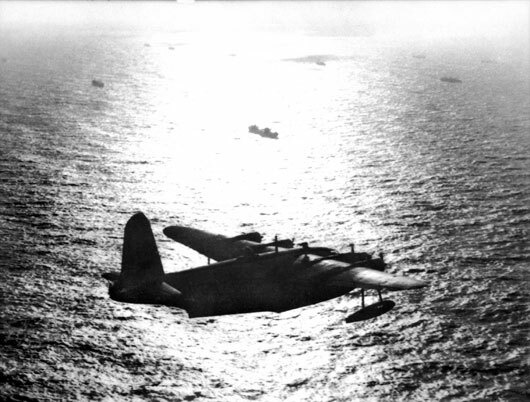 A Sunderland of Coastal Command keeps watch over a convoy as evening falls over the Atlantic (AWM SUK14445). Maintenance crews of 10 Squadron RAAF haul a Sunderland ashore into a hanger for overhaul (AWM SUK14702). 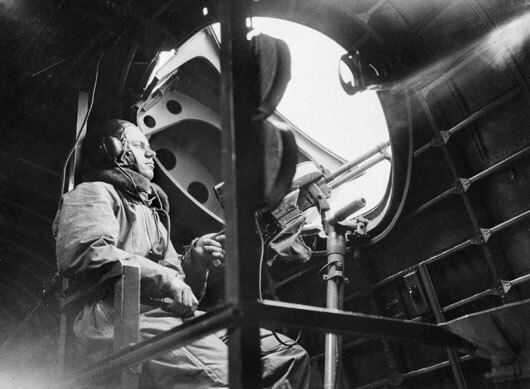 Leading Aircraftman Basil Thornton acting as side gunner in a Sunderland of 10 Squadron RAAF based at Mount Batten (AWM SUK15151).